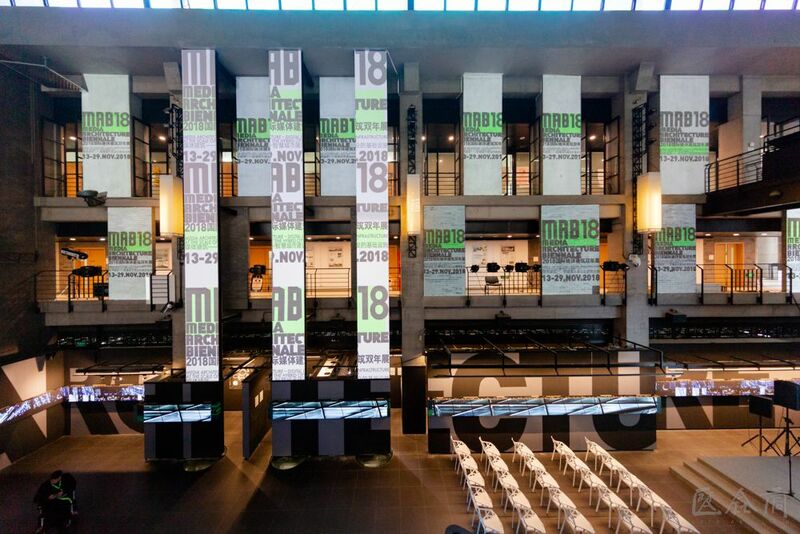 MAB (Media Architecture Biennale) is the largest and most superior academic activity in the field of global media architecture. It has been held fives times since 2008, respectively in Berlin (2008), Vienna (2010), Aarhus (2012/2014), Sydney (2016). 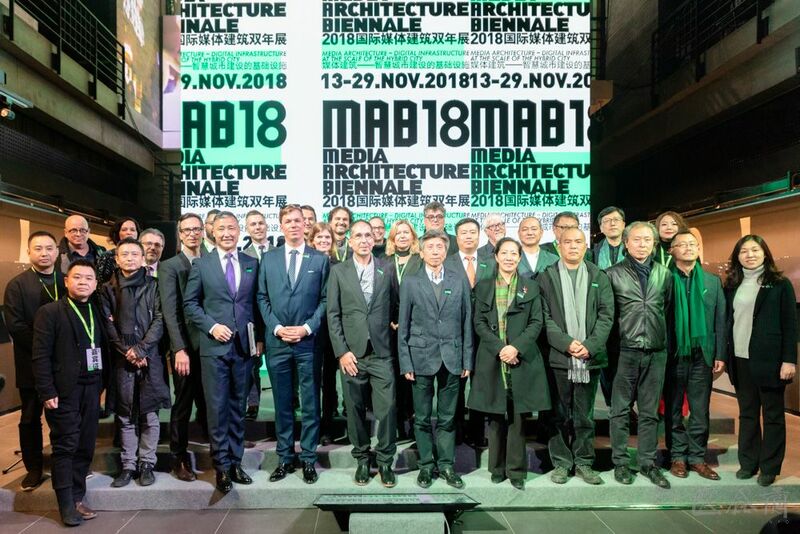 The 2018 International Media Architecture Biennale—MAB18 was held at the Central Academy of Fine Arts in Beijing. 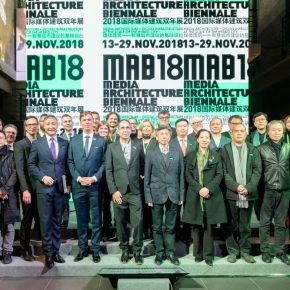 Themed on “Media Architecture—Digital Infrastructure at the Scale of the Hybrid City”, MAB brought together representatives from universities, art institutions, research institutes and innovative companies based in Europe, America, Australia and China. 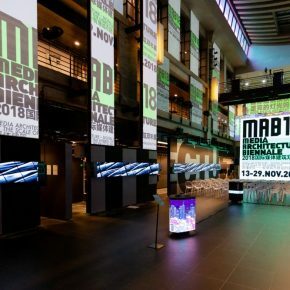 MAB lasted for 17 days (November 13-29) and it was composed of five major sections: workshops, themed forums, conferences, exhibitions and an award ceremony. 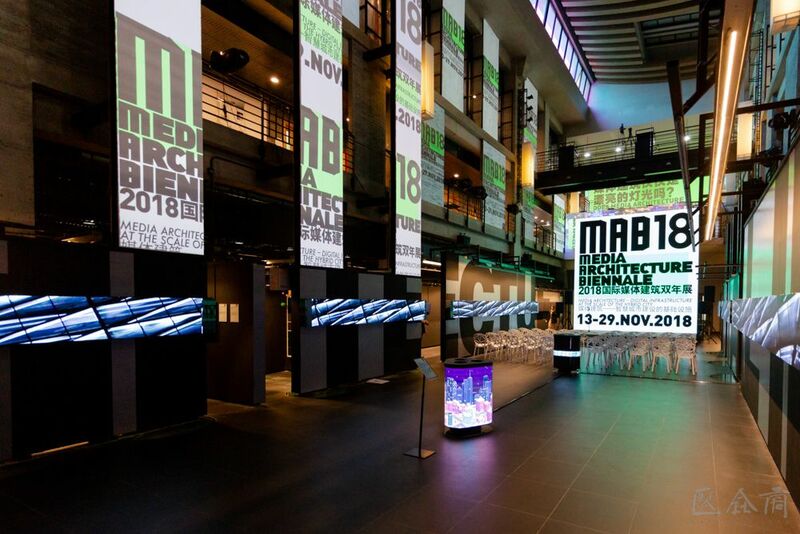 MAB focuses on the highest level of theoretical research and urban practices in the field of media architecture worldwide. 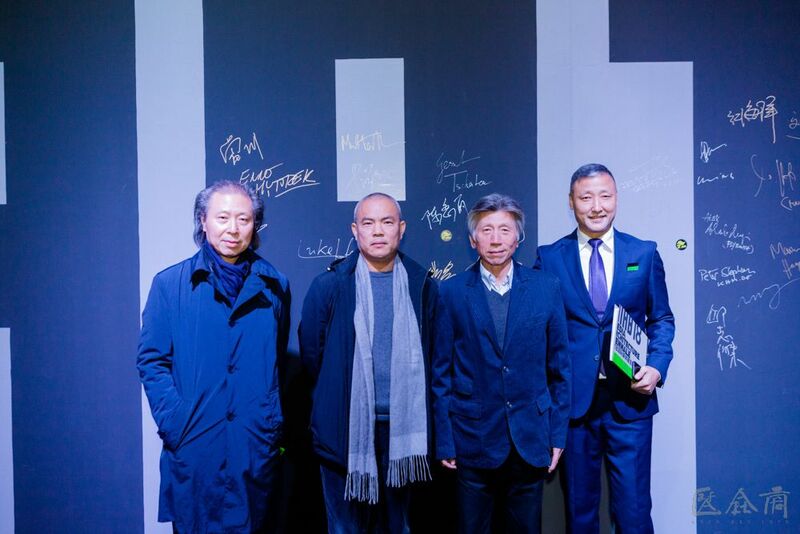 CAFA ART INFO conducted an exclusive interview with Professor Chang Zhigang, Chairman of the 2018 International Media Architecture Biennale and Executive Deputy Director of CAFA Visual Innovation Institute. 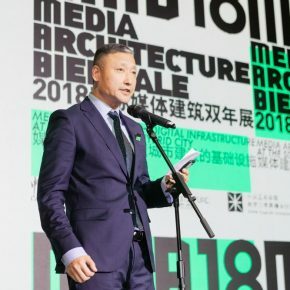 He talked about the connotation, the issues and challenges of media architecture, the establishment of a new discipline in media architecture and its relationship with the construction of a smart city, as well as the great potential of media architecture in social, cultural and commercial fields. 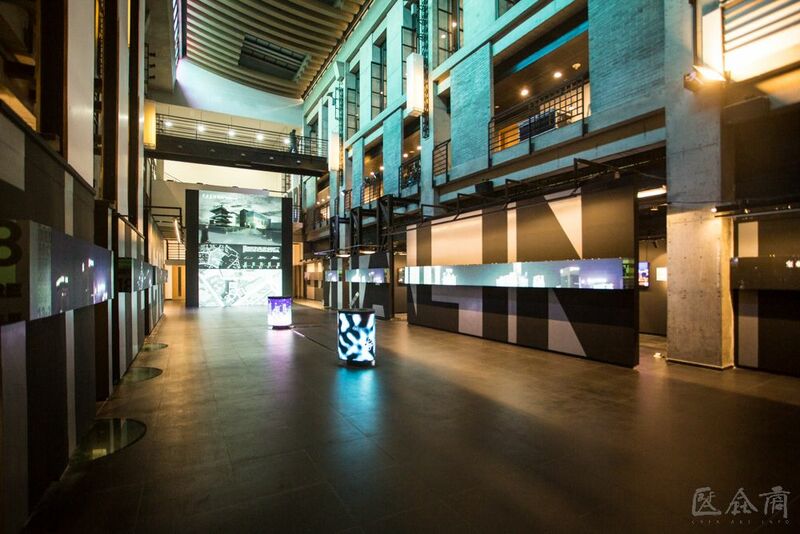 CAFA ART INFO: Media Architecture has emerged and developed over more than ten years. It is considered as the product research in digital technology with architectural technology as well as a mutation from the integration of nature, culture, technology, art and so on. How to understand media architecture? What are its important features and innovations? Chang Zhigang: “Media Architecture” is a customary phrase, but it is not a very accurate academic definition. 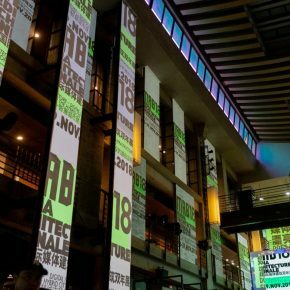 Actually it mainly refers to new architectural phenomena that has appeared since 2000, that is, the combination of digital images and architectural appearances, which turn the exterior of architecture into a large screen or digital videos can be screened on architectures. After that, a lot of derivatives or other branches were developed. Actually, this concept mainly comes from public art, a group of public artists turned the windows of ordinary architecture into pixels, while these architectural pixels were formed into figures which can interact with citizens and tourists. This was a prototype at the very beginning. 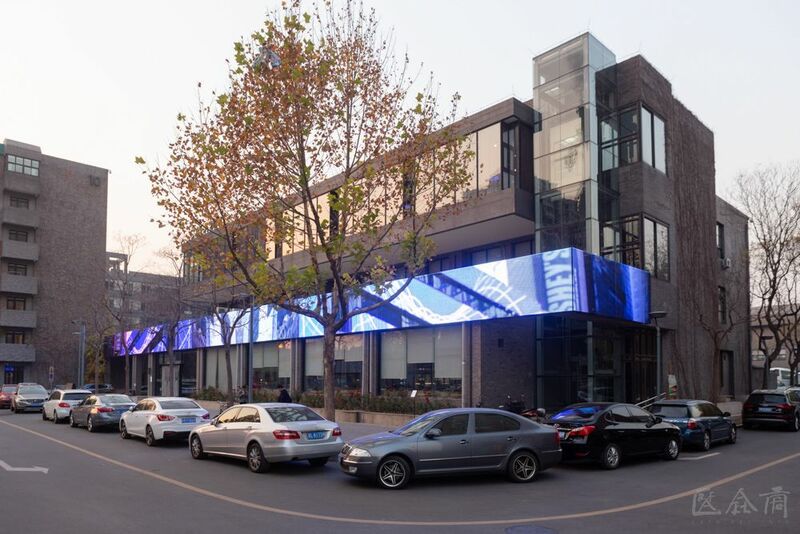 Using lighting and LED, as well as control and induction technology, the phenomenon of media architecture has integrated the developments of Chinese economy, urbanization and includes the improvement of night scenes, emphasis on the lighting night scenes, with the developing trends of media architecture. Therefore, media architecture has the largest market and scale as well as the most complicated linkages and technologies in China. 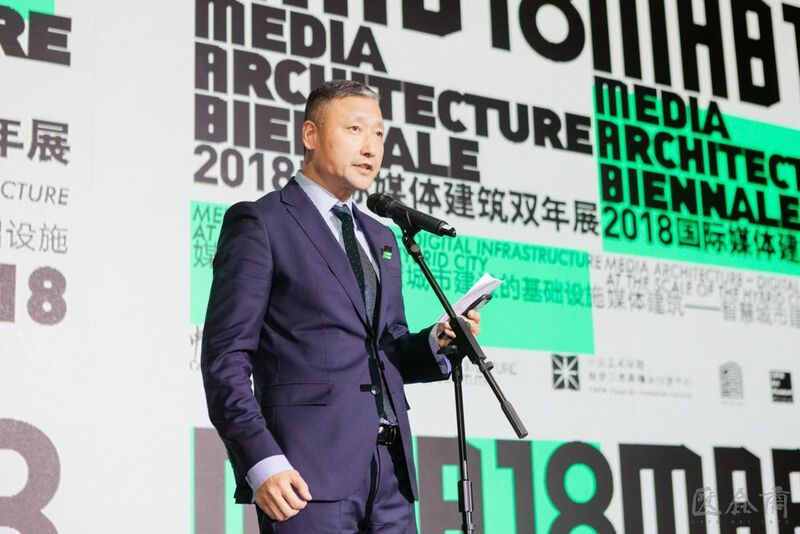 In recent years, governments and social reactions in various parts of China have been very enthusiastic about media architecture as everyone was discussing and paying attention to this subject. 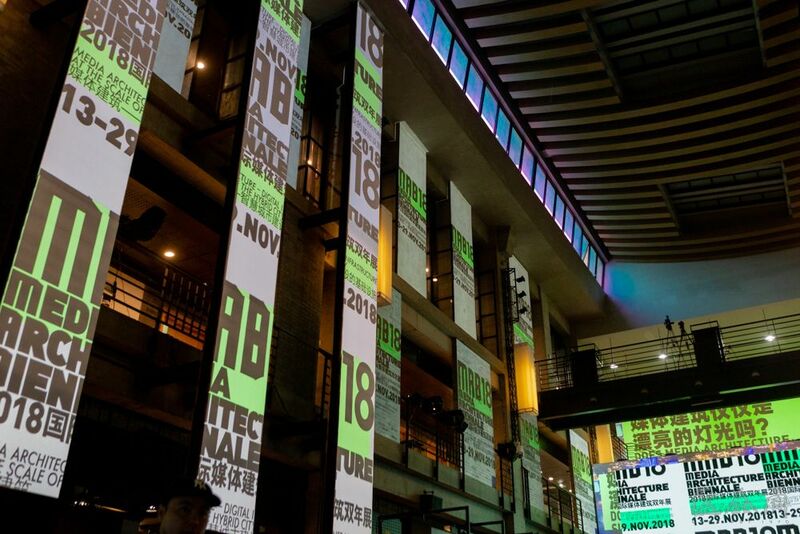 CAFA ART INFO: How would you interpret your comprehension of the theme for this Biennale? What is a smart city according to your understanding? 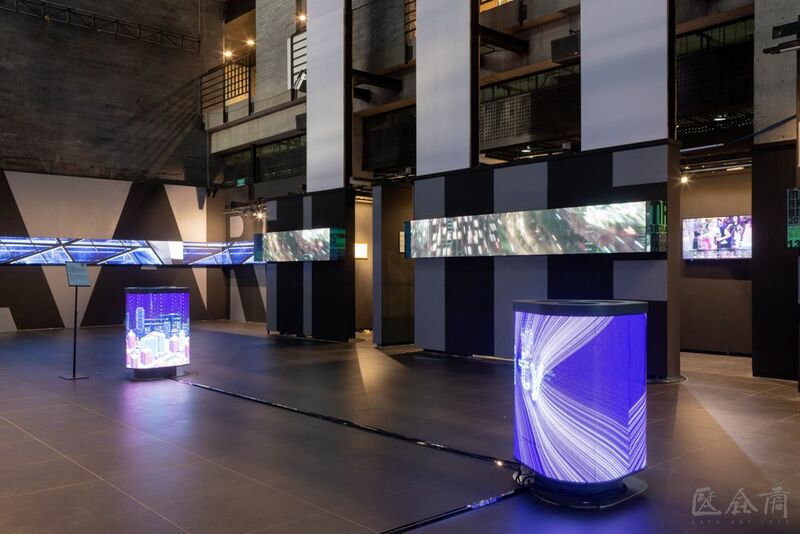 And how can media architecture become the foundation of a smart city? Chang Zhigang: This is an excellent question. When it comes to infrastructure, especially of smart cities, we understand them as big data, the internet of things, smart transportation, smart city management and such categories. Concerning how media architecture has become an infrastructure of the city, first of all, the media smart city is not just the integration of wisdom but it is also composed of changes of lifestyle. In this respect, media architecture fits well with the conceptual and concrete changes in living styles, such as the environment of concrete buildings and what is used for fixing, solidifying and creating static, the emergence of media architecture including LED, intelligent controls and induction enable us to interact with the environment and architecture which have their own emotions and expressions. 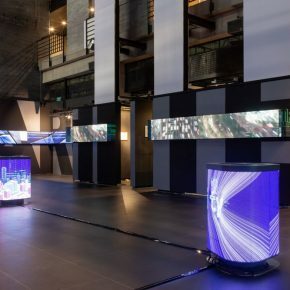 The Second level is that the media architecture we currently understand is composed of just dozens or hundreds of buildings, the linkage among them conveys a magnificently visual picture when jointly screened. From the international perspective or the developing perspective of CAFA, we are more concerned with how to deal with the interaction between people and architecture, people and environment, instead of presenting a grand visual scene, we prefer an installation, such as “How a trash can changes your living habits?” “How does a light help people travel safely” and a series of functions, these visual things can provide you with convenience and information related to the environment, which cease to be just the appearance of a city or the presentation of architecture, but have more involvement in everyday lives. There was a speaker who is a famous designer in the forefront of media architecture, he put forward an opinion which agrees that a smart city is a city you can participate and join in, you do not passively accept this environment, you will actively participate in the formation of this city and you will contribute to the interactions between your life and environment. We hope to use this concept to create new life forms and urban appearances in new smart cities. 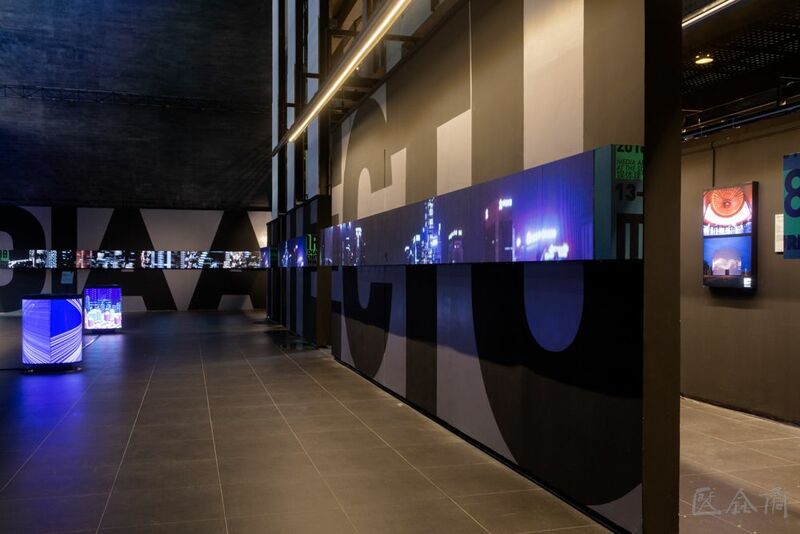 CAFA ART INFO: The trend of media architecture has become a powerful force, which does not only change the landscape of cities, but its developments will also change people’s perceptions and the comprehension of architecture and landscape, even the lifestyles of people in the city. 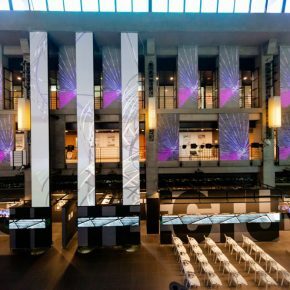 You just mentioned that media architecture is more like public art. The developments of new media technologies, especially the development of interactive technologies, which have deepened the participation of the public. 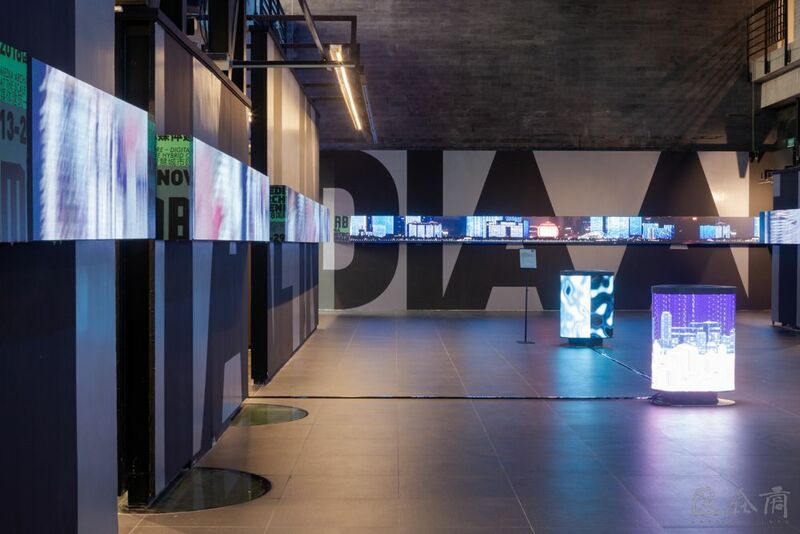 Therefore, what do you think of the relationship between media architecture and the public? Chang Zhigang: This is an excellent question and I think it is also very professional. This is also a question that designers should ask themselves frequently in the development of disciplines and projects. On this occasion, designers need to observe life very carefully and have a new understanding of the environment. This relationship is not a summary of the current situation, but it should represent the ongoing, even forward-thinking thoughts. It is an update and also a subversion, so our thinking about this relationship may lead to our discipline, our project design philosophy and produce a qualitative leap. 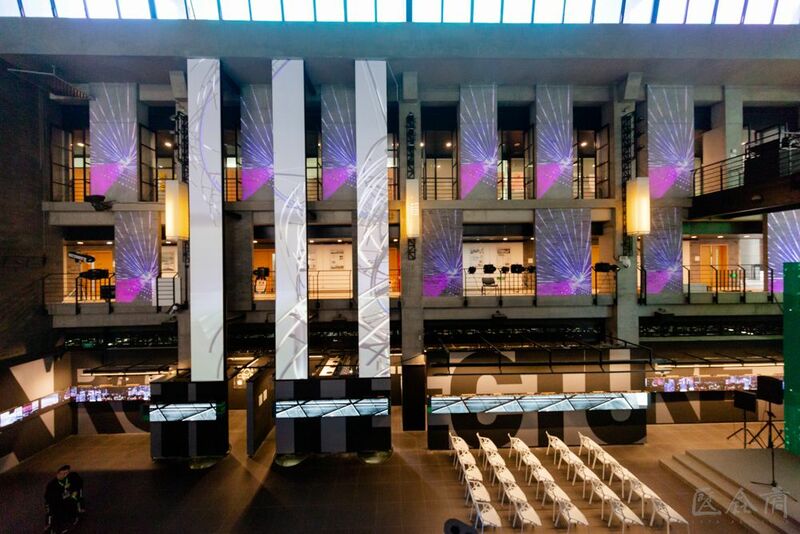 CAFA ART INFO: There is still some controversy about media architecture. 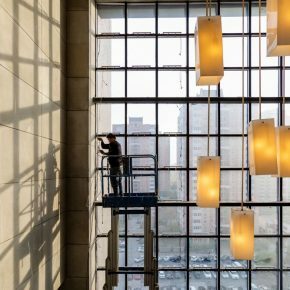 Because the media expression in architecture often uses sound, light, electricity and other technical means to produce a visual image that transcends the original building components. Thus the components of the mediation architecture are mostly obscured by the media interface and we cannot see the structure of a complete building. 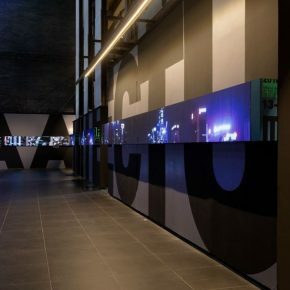 From the architectural aesthetic point of view, the beauty from the architectural identity ceases to exist, so does this media destroy architecture? What do you think of this challenge? Chang Zhigang: This leads to the famous quotation from Victor Hugo in Notre Dame de Paris stating that books will destroy architecture, and the era of the cathedral will be terminated by printing. Because in the past if people wanted to understand the Bible and history, they needed to look at the murals, sculptures and painted glass in the church buildings. With the introduction of printing, everyone has a book. At that time, it was unnecessary to go inside buildings. Did books or printing techniques destroy architecture? The challenge you mentioned I think is an inevitable trend of the times. 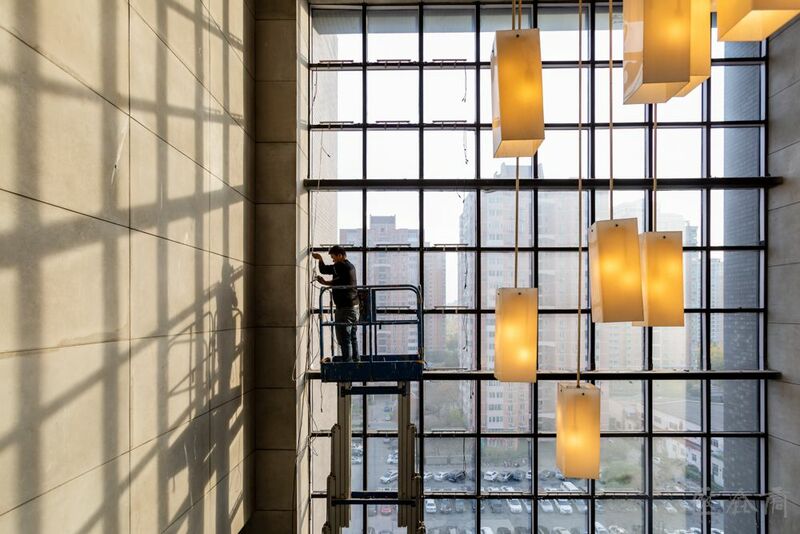 With the development of technology, the LED can be installed in an invisible state. 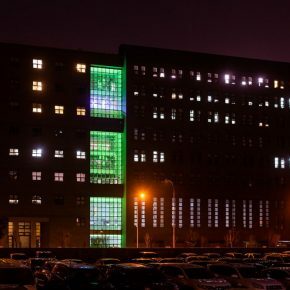 The appearance of the buildings will change in the evening with a more dramatic subversion, the animation of the media, the visual appearance becomes the protagonist. Therefore, I think it has pros and cons. On the one hand, architecture has a history of more than 2,000 years. With the wisdom and informationisation of the architectural discipline after the 21st century, media development is an inevitable trend. On the other hand, this is not only the thinking of the academic and professional circles, but also for society. 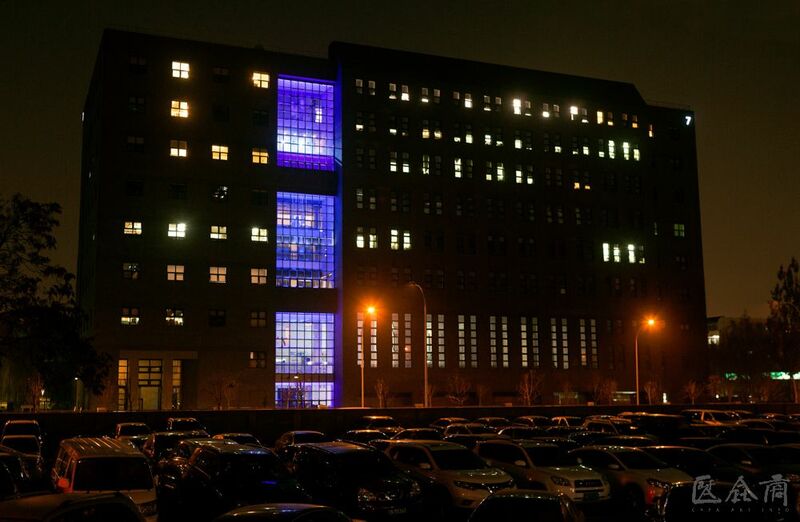 Many media architectural projects in our country are conducted by lighting design practitioners. There are also many controversies and reflections about this. 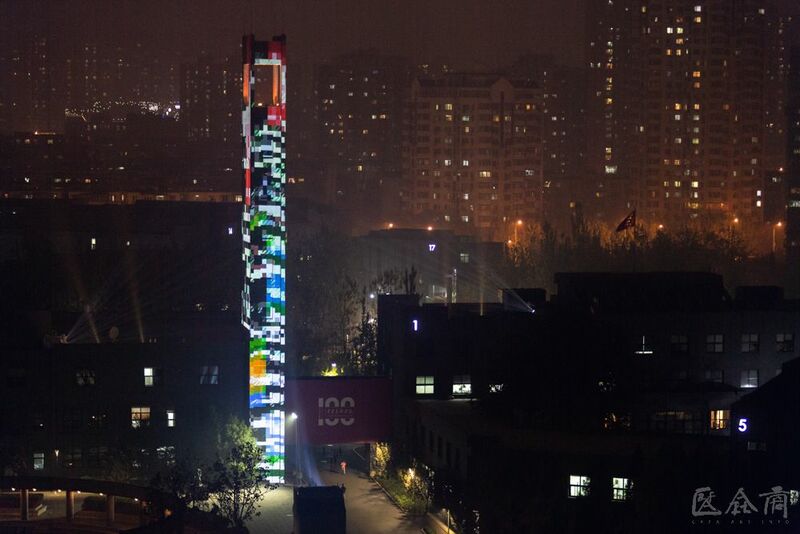 Some think that these images are very vulgar, although the technologies are good and the scale is large, the saturation of the LED is very good. 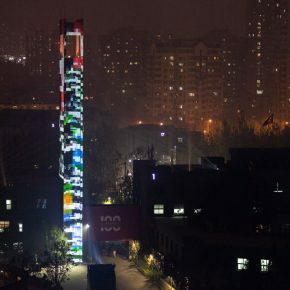 However, the contents displayed are just so so, and there are a series of problems such as light pollution, affecting people’s lives and wastes energy. This is also a part of the public’s opinion. But according to my understanding most of the opinions about it are positive. But even so, as professionals we must first reflect on ourselves and we cannot be immersed in the past night scenes. On the one hand, there are so many curious concerns about this matter which brings pros and cons; on the other hand, with so many tourists and public attention which is pulling on domestic demand to promote tourism, whether it is for the government or the industry, everyone mentions the “night economy”. 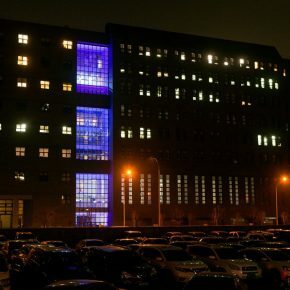 Media architecture can be said to be the leader of the night economy. If we use it well in the right direction, it will lead to the development of society and promote the progress of civilization for the benefit of society and citizens. 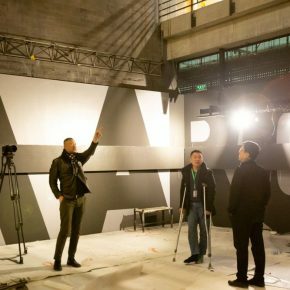 CAFA ART INFO: Does the 2018 International Media Architecture Biennale discuss these issues? 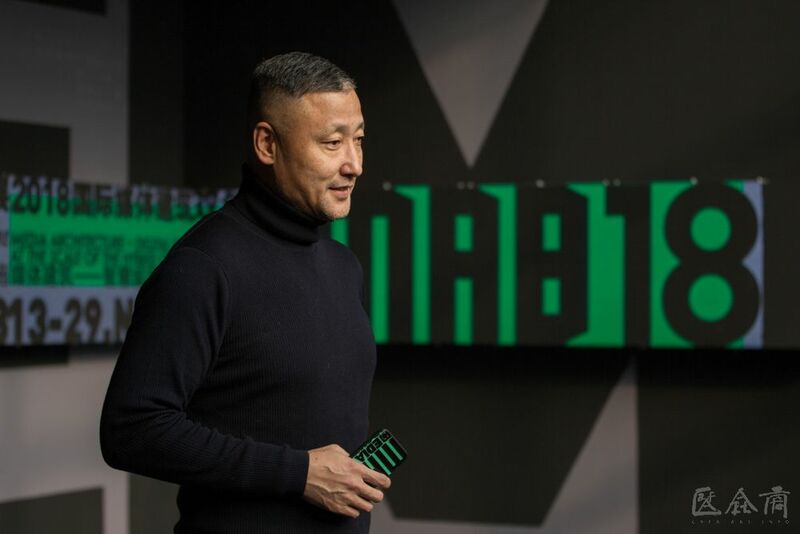 Chang Zhigang: The 2018 International Media Architecture Biennale which is aimed at social reality. 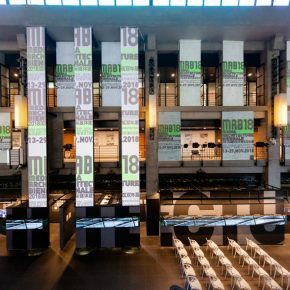 Scholars, experts, and most avant-garde designers from all over the world in the field of media architecture gathered together to discuss this. I am also one of the five core members of The International Media Architecture Association. I am responsible for its research in China. On the occasion of its fifth edition, the number of guests who participated in the self-funded registration abroad was 104. A total of more than 130 people came here. Each participant’s reaction and discussion on this matter were very enthusiastic, and they provided various directions which might trigger new thinking and inspiration. 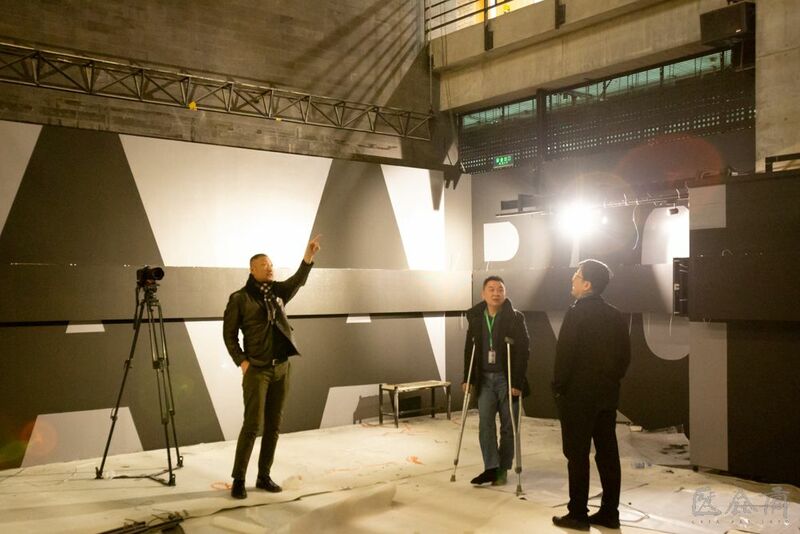 The next international media architecture biennial exhibition was held in Amsterdam and the responsible guests sent a message to our WeChat group discussion that they had experienced a great event in Beijing and they would like to do everything they can to do for the best in 2020. I felt nervous about this exhibition before it was unveiled but fortunately it has received an excellent evaluation. In terms of academic content, we have forums and conferences which were full of people at each session, especially the lectures by keynote speakers at the conference. Their concepts and forward-looking cases make everyone excited and especially inspired. All in all, this event was very successful from exhibition to conference and from form to content. 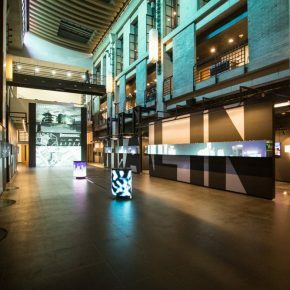 CAFA ART INFO: Currently, media architecture has not yet formed a relatively systematic and mature logical system and aesthetic standards. What is the theoretical fulcrum of the new aesthetic paradigm that supports media architecture? How to make an aesthetic judgment on this? Chang Zhigang: This is also what I am concerned with because the Central Academy of Fine Arts has academic aesthetics. I do not think we should first of all just think about the aesthetic value of media architecture. My opinion is to give up aesthetics first, since aesthetics need to change with the times and we cannot judge nova things with previous aesthetic standards, which often limits the development of new things, thus I summarize that: beauty is the achievement of our last work, not our purpose. We do not presuppose an aesthetic system to limit this, so it is this attitude we think of when treating aesthetics and media architecture. Its disciplinary system is first rooted in architecture, but it is an extremely cross-border thing and it cannot just grow within the scope of architecture itself. It must develop and integrate with sociology, public art, including media, graphic design, science and technologies. This is also a problem faced by media architecture. It does not have an established mature soil. This soil requires an organization of nutrients, in this process, it may grow in malnutrition, and then find new resources and nutrition. This is a problem we have to confront, it’s both a challenge and an opportunity. I think the interdisciplinary feature of media architecture is that any professionals can be dominant, not just architects. 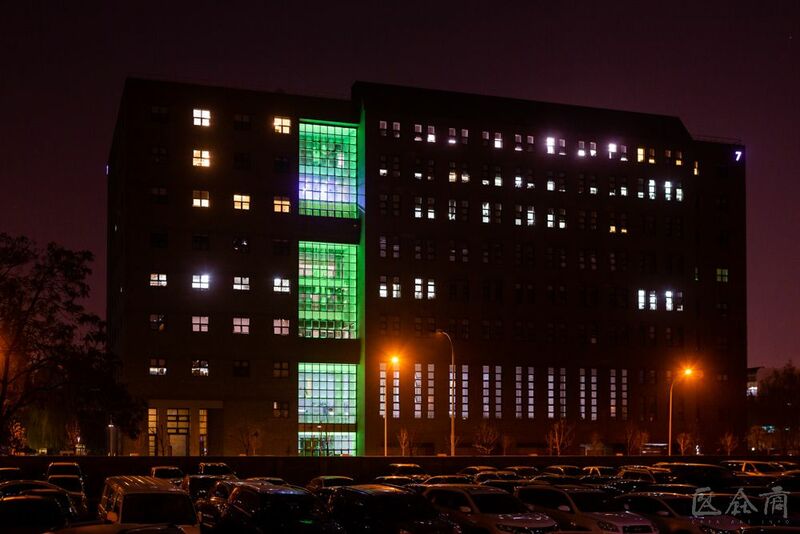 It is possible that this is a lighting designer-led project, or it may be dominated by a public artist. The so-called hierarchical order in this is completely dynamic, and there is no cross-border behavior in a state of fixed order, so as you say the immature or unstable state which instead is a new trend in the future of media architecture, and it will be developing in vitality in media architecture. 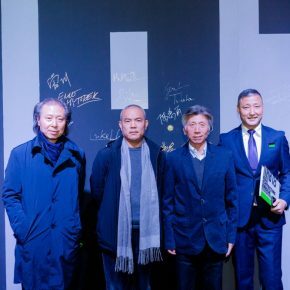 CAFA ART INFO: As far as I know, you work as a professor at the Central Academy of Fine Arts and a scholar at the forefront of Chinese media architecture. Media architecture has interdisciplinary characteristics. When the Central Academy of Fine Arts established a special discipline of media architecture, it will undoubtedly increase the difficulty in education. So how to grasp and deal with this interdisciplinary teaching method? 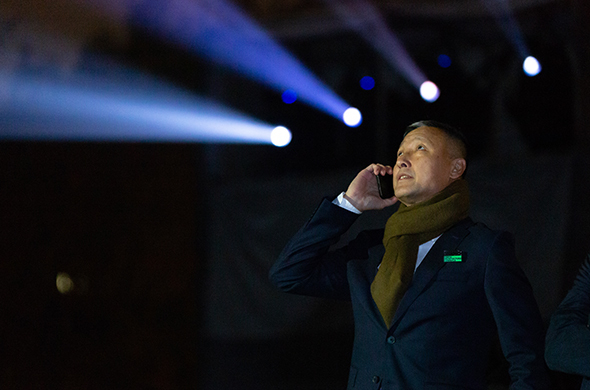 Chang Zhigang: This is also an issue worthy of discussion, not just as media architecture has its own characteristics, but also learning styles are changing. 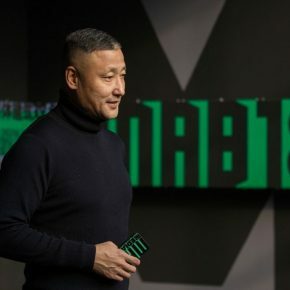 As Fan Di’an, President of CAFA said, “many students are now aboriginal people on the internet.” They lived in this environment when they were born. They are completely divergent in accepting information and learning knowledge. I think it is a flat learning style. The key value is the understanding of people and society as well as understanding social development trends. I believe knowledge could be received by flat learning, but it requires more reflection and re-interpretation on its essential issues. 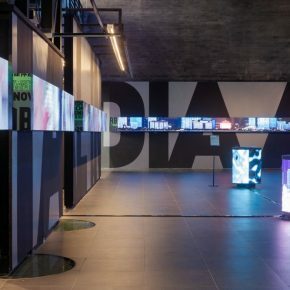 Just as there is also a “Media Art Biennale” which was themed on “After Life” in 2018, which was a rethinking of artificial intelligence and the nature of human life. These are not only the subjects that artists should pay attention to, but every human being living in society should be concerned. It is important for designers, who serve as the intermediate link to transform technologies into social services, to possess such humanistic and philosophical thinking and general concern for human destiny. I think only in this way can we stick to the essence in the flat learning process and we always have a key to aggregate these flat, spread, and diffused knowledge into a new discipline growth point or a new project.